Bob McNair wants his money back. 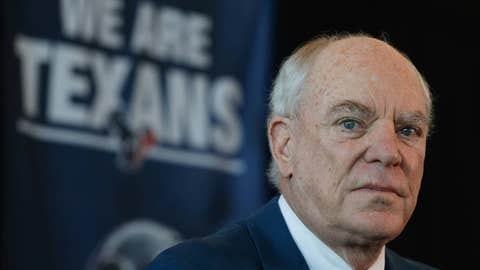 Houston Texans owner Bob McNair on Friday rescinded a $10,000 donation to conservatives hoping to repeal nondiscrimination protections for gay and transgendered residents in the city, saying the campaign made "unauthorized statements" about his beliefs. McNair, a major Republican political donor, didn’t specify what comments made by the Campaign for Houston caused him "great dismay." Nor did his statement, released through the Texans, denounce the aims of the group that has sought to rally voters with a "No Men in Women’s Bathrooms" slogan. "Campaign for Houston made numerous unauthorized statements about my opposition to HERO in print, broadcast and social media – including attributing certain statements of belief to me," McNair said. "Their actions and statements were never discussed with nor approved by me." "We’ve never spoken for him. We don’t speak for him. We are just thankful for the support he gave us," Woodfill said. The ordinance, passed last year by the Houston City Council, bans discrimination based on sexual orientation and gender identity in the nation’s fourth-largest city. It aims to protect gay and transgender people against discrimination in employment and public places. McNair said he doesn’t tolerate discrimination of any kind and believes the city could rewrite a stronger ordinance that would give protections for "all Houstonians." 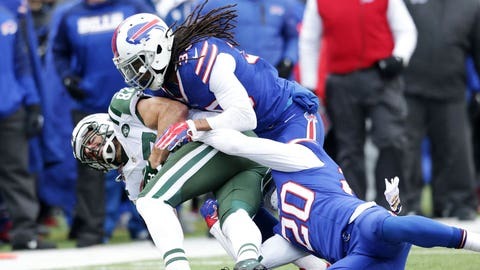 McNair’s initial donation sparked local controversy in recent days, with former NFL punter Chris Kluwe publishing a heated, personal letter online calling out the Texans owner.